We graduated among 535 diverse members of a thriving high school which not only provided the opportunity to earn a diploma, but also afforded an education on how to relate to, and empathize with, the varying ethnic, religious and socio-economic student body. While cliques based on social status and ethnicity existed, not to mention such anachronistic collectives like smokers and shitkickers, coexistence prevailed far more than discord. As one of the few Jewish students, I encountered some stereotyping but very little outright anti-Semitism. In many ways, our school qualified as a prototypical Texas public high school of the late 70’s and early 80’s; just watch Dazed and Confused to confirm. Yet, our school differed. Unlike those named for Nazi-defeating generals or founding fathers, our school’s namesake, when provided the opportunity to lead the Army of either the Union or the Confederacy, chose the latter. 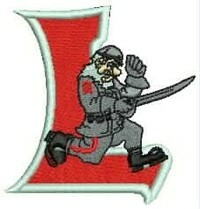 Robert E. Lee H.S. opened in 1958, four years following the landmark Supreme Court decision in Brown v. Board of Education of Topeka, Kans., three years after Rosa Parks refused to go to the back of the bus, and a year removed from the integration of Central High by the Little Rock Nine. As with many other schools, streets and parks named for Confederate notables during this era, our school’s origin bears the stain that its founders sought to dissuade the civil rights movement. Like most of you, I remained unaffected by these realities. I recall painting a banner for the 1971 State Football Championship pep rally as a Jackson-Keller Elementary third grader. 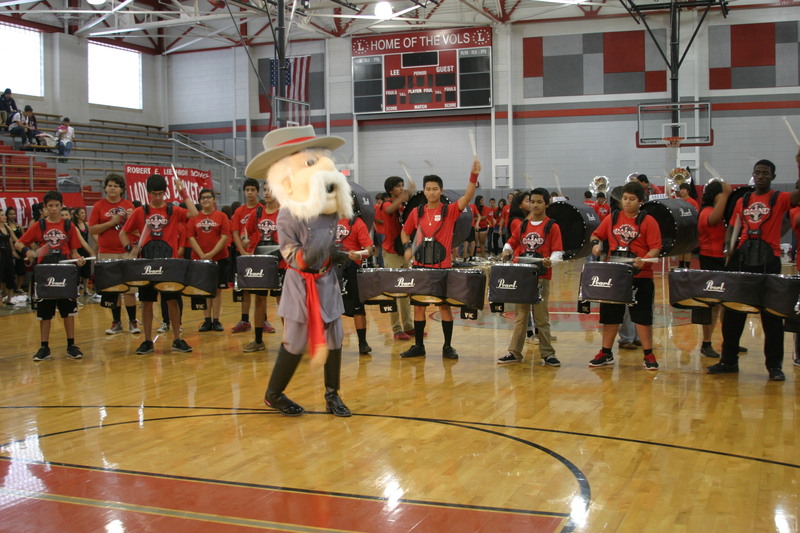 With a few others, we presented it at the rally to the first Lee High team to win State. 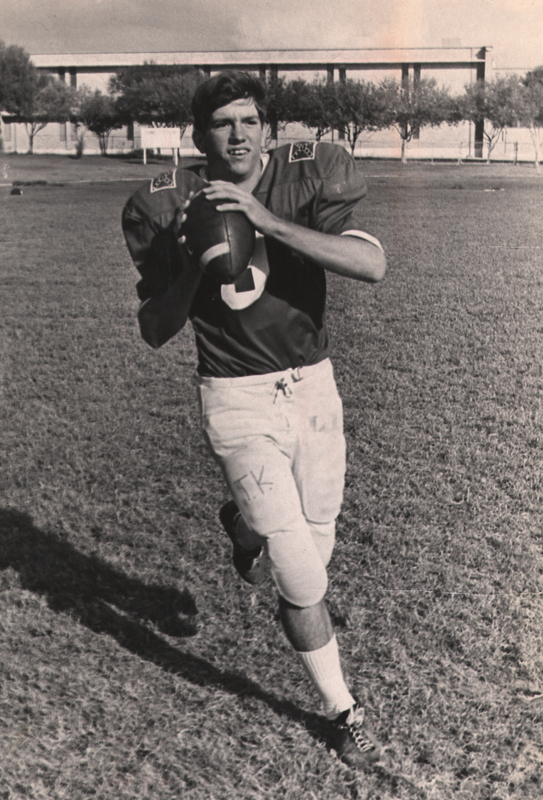 I exuded pride and excitement when I caught an up-close view of eventual NFL stars Tommy Kramer and Richard Osborne. Not then, nor throughout the Volunteers amazing early 70’s run, did I ponder the school’s name, it’s Mad Rebel mascot, the playing of Dixie or the flying of the Confederate flag. That ’71 Championship sealed traditions which prevail today. 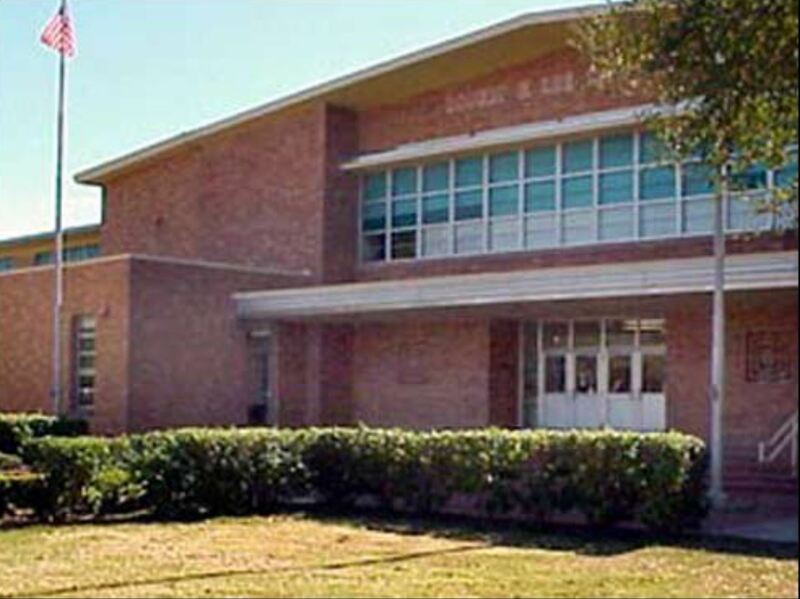 By the time I entered Lee High in 1977 however, my comfort level with Lee’s traditions waned. I no longer viewed the Confederate flag as merely an expression of school spirit. I could not listen to the Lee Band play Dixie without wondering the thoughts of every Black person present at games, rallies and graduations. And, seeing the Mad Rebel clothed in the uniform of a Confederate soldier made me question our community’s values. To my regret, I never expressed these sentiments, though I refrained from singing Dixie and engaged in other forms of personal protest. One demonstration even included a failed plot to remove the giant wooden Confederate flag that adorned the gym’s exterior wall. Lee no longer flies the Confederate flag, yet it remains the “Volunteers” clad in red and gray and compelled by a Confederate soldier mascot. The dance & drill teams endure as the Dixie Drillers and Rebel Rousers. 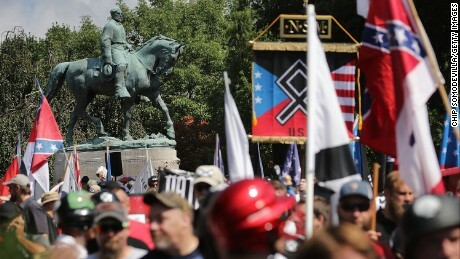 While understanding that attachment to these traditions does not signal either a past or present affinity for the Confederacy, retaining them now not only condones the chronicle of Lee’s founding, but also constitutes an acquiescence of the words and actions of American Nazis and white supremacist. The tragic events of Charlottesville visibly expose how American Nazis and white supremacists utilize monuments and symbols of the Confederacy to further their objectives of ethnic and religious dehumanization. Regularly, these hate groups employ the vestiges of slavery for political gain. No student should attend school under proximate circumstance. Consequently, to ensure the peace and well-fare of all current and future students of Robert E. Lee High School, the school’s name and Confederate traditions must change . This weekend, my daughter returns to the grounds of the University of Virginia where last week Nazis and associated hate groups marched with torches and chanted “Jews will not replace us.” I understand that changing our school’s name and traditions will not help protect her or change minds bursting with hate. 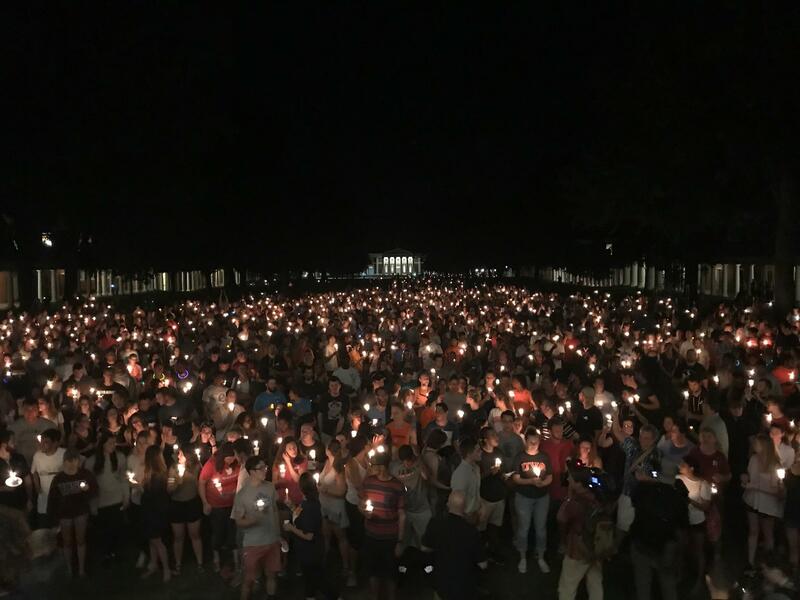 But just as almost two thousand people took back UVA’s lawn with a peaceful, candlelight vigil, the transformation will convey a vital message. That hate lacks historical justification, that all people enjoy equality, and that every student entering the doors of our former high school does so free of the past, and hopeful for the future. I agree. I am a graduate of Robert E. Lee class of 1980. At that time I was clueless to things. —- I believe the best the school can do for the students of the future is to change the name of the school — and – build a museum /history center on the campus which houses both the confederate and union history within it. A multi-media course of the school and the history… Your article should be included. What better way to help educate than a real and actual piece of history – which students can understand the past and the need for positive change for the future. Please change the name. I am an ’82 graduate. I would love to say I was self aware enough back then to have reflected on the true meaning of the name , but I am now. I hope the name is changed. I totally and completely disagree. To me…. it’s the high school I graduated from. The United States as well as many other countries have history we should not be proud of. However, Robert E Lee HS has been around for many years, I am a proud graduate and I am not at all a prejudiced person. We should never forget history lest we repeat it! These are different times with different ideas. You can not judge the past with today’s standards! Keep ROBERT E LEE’s name on our high school. Thank you for such a thoughtful essay. Please consider submitting this to the Express-News for publication. Your perspective as a Jewish Lee grad with a daughter at UVA is unique. I’m a 1972 Lee grad who would love to see the name changed. We should not honor those who took up arms against the United States of America and sought it’s annihilation.